I first stumbled across The Little Prince because my wife chose it among all the movies on Netflix. Like a supportive and loving spouse, I teased her for picking a cartoon to watch. However, about 15 minutes in, I was captivated. 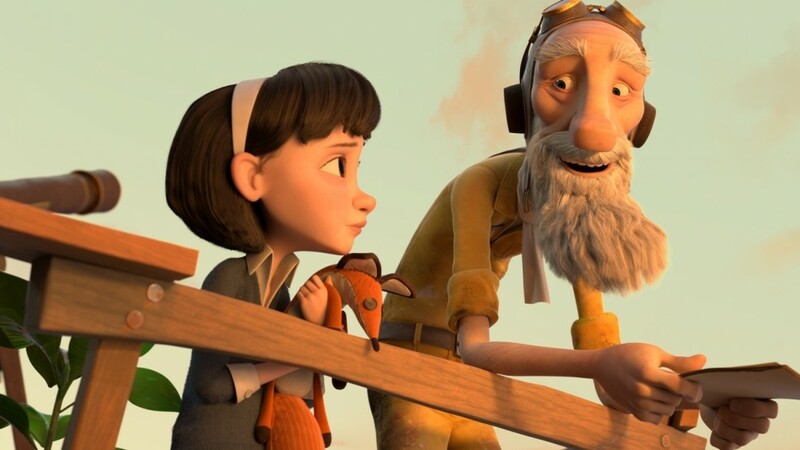 An adaptation of the French novel by Antoine de Saint-Exupery, the movie The Little Prince follows the story of a little unnamed girl and her mother who micromanages her every second. Every moment is accounted for; a certain time for math, a certain time for science, a limited time for lunch, and maybe she can have time for friends on Thursdays for an hour a year from now. The mother hopes that by providing structure for her daughter, she’ll be able to get into the prestigious “Werth Academy” that will pave the way for a life of maturity and success in the workforce. Without the right schooling and academic preparation, she is doomed to inferior schools, unimportant jobs, and a marginal life. A repeated emphasis throughout the movie is to “be essential” and to do “essential” things. Efficiency, skill, and hard work are the primary ingredients to a true, self-made grown up while leisure, play, and wonder are all but forgotten. The need to be essential can also be seen with the successful businessman who captures the stars in the night sky for energy; he gives the stars names and claims ownership of them because he thought of the idea first. For him, the stars have no purpose, beauty, wonder or importance other than to fulfill his misconceived essential desire for production. In many ways, The Little Prince is a perfect demonstration of our secular age. Success is measured by what is accomplished in the here and now. Wonder is deemed inefficient and heaven forbid, if there even is such a place in this rat race, we are not “essential.” So often, we get caught up with definitions of success as we strain to measure our lives, marriages, careers, and children in the age in which we live. We so often lose the purpose for which all these essential things exist, and like the grown-ups of the movie, all we can muster is enough energy for the next task or step on the hamster wheel where keeping up is exhausting. We so value progress that we lose a sense of wonder and have removed any sense or avenues of pleasure, leisure, or enchantment from our lives. But what if instead, our Christian witness took the shape of the elderly neighbor? What if we ruined life plans? Or dismissed the pressure to “keep up with the Joneses” with our houses, yards, belongings, and daily routine? At first thought, this type of thinking is weird. But as I currently reside in Austin, maybe weird isn’t so bad. Maybe our weird can be captivating as we point not to efficiency but to enchantment. Where we could be less rushed and scheduled and hurried so that our ease of life would grant us the ability to pause and truly love our neighbor. This is not to devalue maturity or growth but to take the elderly man’s words to heart “Growing up is not the problem—forgetting is.” It would be a shame to grow-up or progress so much that we forget. The Little Prince graciously invites us to consider that maybe the Christian’s best witness would be a refrain of remember. “Growing up is not the problem – forgetting is.” Really beautiful. Well done, Alex.